The microprocessor-controlled DT-315A possesses the same great Features of the DT-311A with the added convenience of total portability via its own internal power supply with up to one hour of full time, high intensity flash rate. 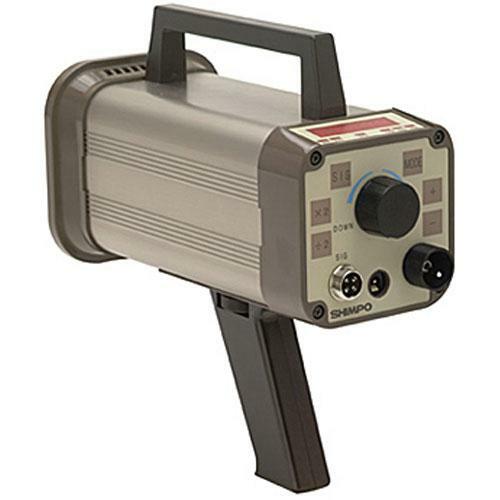 Powered by rechargeable batteries located inside its rugged aluminum housing, the DT-315A also performs as an AC line-powered strobe when plugged into its standard AC adapter/charger unit. One year warranty. 8” (20 cm) Distance = 4500 lx @ 1500 fpm, 3375 lx @ 6000 fpm with 4.5” (110 mm) irradiation diameter.